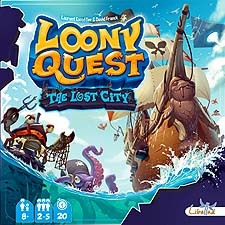 Add even more fun with this first expansion for Loony Quest! Discover 5 new worlds and strive to master the challenges for this 32-level content pack! Travel through Secret Passages, encounter the 3D Pyramid Spaceship and play with new special stages and bonus/penalty tokens. 3, 2, 1... Draw! This is an expansion. You need the Loony Quest base game to play it. Fell in love with the original and this expansion adds even more worlds to play with and for the price is a sound investment to get the 5 new worlds. The 3D pyramid addition is cheap and gimmicky and not really worth bothering with, but if its more levels for one of your favourite 'drawing' games you're after, then you should definitely check this one out.